With the end of the year approaching quickly and Global Affairs Canada announcing they have a higher than normal amount of authentication requests getting a document validated internationally using the normal methods will be impossible for some this year. But for others our team of experts at ALSC has options to get things done to meet your year end time line but you must act fast as each day counts down towards the day we will be unable to complete it this year but certainly do so in 2019. To get started let’s talk more about the process to get your Canadian document validate for use abroad. As you may already know, if you have a Canadian document that you need to use in a country other than Canada, it will have to go through a process of validation that makes it legally valid for use in a foreign country. You may have heard of terms like apostille or attestation but Canada uses another process that is equivalent or equal to an apostille an attestation. This process is known as authentication and legalization and it is equivalent to the apostille because it was the process used by apostille countries prior to the Hague Apostille convention, which Canada has not signed. The first step of authentication takes place at Global Affairs Canada here in Ottawa and the second step of legalization takes place at the embassy of the country in which you will be using your Canadian documents. Most of these embassies are also located in Ottawa and larger countries tend to have consulates across major cities in Canada as well. Legalization at the embassy is the more difficult step of the two. There are additional fees, requirements, and processing times which are subject to change. What is also difficult to account for are the various holidays and closures at an embassy which often cause delays. In contrast to most businesses and services, embassy operating hours are very sensitive to internal affairs. Although our agents are always up to date with embassy holidays and closures, there are occasionally unforeseen circumstance which arise without prior notice. These can range from closures due to bad weather conditions, sick embassy personnel, vacations, renovations, and changes in consular staff. Not all of these closures are made public and in many cases the embassy is impossible to reach during these events. Unfortunately, such closures are part of the legalization process. This should always be considered when processing Canadian documents for use overseas. During the holiday season its important to note although the embassy consulate maybe open the official who signs the documents is usually away enjoying the holidays further delaying the process into the new year in most cases. That is why we encourage our clients to start the authentication and legalization process well before the holiday closures to prevent any unexpected delays. 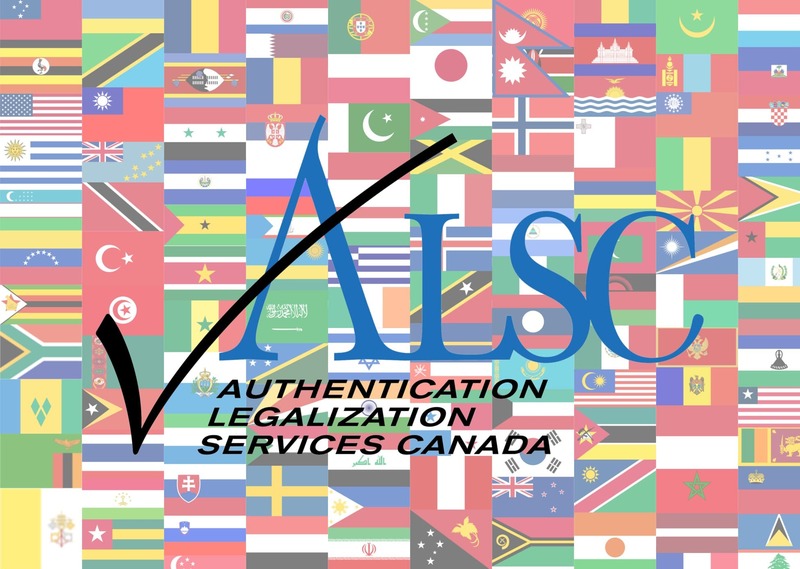 If you need your Canadian document validated for international use this year do not delay speak to one of our ALSC experts about your options time is running out for 2018!